Replacing your entire roof can be a daunting task that generally begs to be put off year after year, but the cold truth of the matter, is that your roof will need to be redone at least once. Due to the nature of materials, and the prolonged exposure to the elements, even the best materials eventually break down, and by postponing your repairs, you will eventually have issues spread from the roof downward into your home, create a tidal wave of costly and time consuming repairs. Replacing your roof resets the count down timer to zero on your roofs lifespan. Your average roof will need replacement every ten to fifteen years, and so one of the upsides, is that once the replacement is done, you have another decade to a decade and a half until you need to do so again, depending on the material. It also helps to rejuvenate the overall look of your home, as it's new and pristine condition will be noticeable from blocks away. When it comes time to start fresh, start with the best, and trust Fort Collins Roofing Service to provide you with a complete replacement. Get Your No Hassle Quote Today! Not only does a replacement work to enliven the look of your home, but it also gives you a time to give your roof a change of clothes. Going from asphalt shingles to clay, or to metal shingles, or otherwise, will have you feeling like you live in an entirely different house. Take the opportunity to set yourself apart from your neighbors. And when it comes to variety and choice in materials, you can trust Fort Collins Roofing Service to have one of the largest selections in the city. An added benefit of replacing your roof is that it will increase your homes resale value if you are considering moving within the next few years. As most roofs have that finite life span, being able to offer a home that still has many miles left on the roof will allow you to fetch a higher resale price. A new roof is a big selling feature to homes buyers in the know, and being able to offer the comfort of knowing that a replacement isn’t looming in the near future, will have buyers more eager to choose your property over another. When you choose to get your roofing replacement done with Fort Collins Roofing Service, you are choosing the best. An investment that will see long lasting returns, giving you a beautiful and fresh new look to your home. Our company strives to bring you the best service at an affordable price, giving you two great reasons in one to go with our company. We are proud residents of Fort Collins who genuinely care about our neighbors. So for that friendly and experienced touch, put your trust in a company that has earned it over the years with quality and professional workmanship. If you're thinking of replacing your roof and would like to speak to one of our roofing experts, pick up the phone and give us a call today! We'll provide you with a free, no obligation estimate in no time! Call us today - we look forward to speaking with you. Regardless of how handy you are, there are certain jobs that simply must be left to the professionals if they are to be done right and in an effective manner. We are talking about pertinent areas like roof replacement and repair. Your roof is by far one of the most integral parts of your entire housing system. Without a properly fitted and installed roof, pesky issues like leaks and heat loss will be just a few of the problems you will have to deal with year after year. ​While there is an argument to be made about DIY roof repairs and saving money, if you critically look at the big picture, you will see that the amount of risk and trouble you would go through far outweighs the savings you may make. Your ability to save money on roofing materials will depend on there being a sale or an offer by a materials supplier with whom you are in good standing. This is not an issue when you use a qualified, professional and insured roofing company. 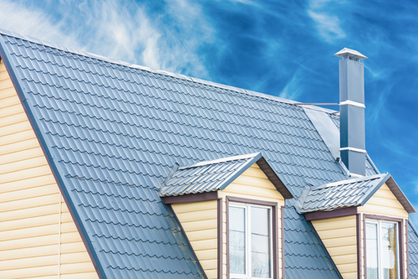 Professional roofing companies are able to get wholesale deals from their suppliers. Furthermore, they have a host of suppliers from different walks of life that are more than ready to give them a good deal of roofing materials based on the fact that they frequently bring in good business. By hiring a professional roofing company, you will be spared the hustle of trying to find a reliable supplier of materials with excellent quality and affordable prices. The savings professional roofing companies make from the discounts they get on materials is often transferred to you, the customer. What this means is that by hiring a professional roofing company, not only will you get access to roofing material of excellent quality, but you will also get access to great discounts, save money in the process and spare yourself the headache and frustration that comes with trying to find a reliable supply of excellent roofing materials. Because professional roofing companies only hire the best and most qualified roofers, they know all there is to know about properly installing a roof. There is no trial and error when you hire a qualified and skilled roofing company to carry out a roof replacement or repair on your property. They will skillfully assess the current situation, give you a workable recommendation and go about the business of installing or repairing your roof so that you experience no water damage, no condensation issues and most importantly, enjoy excellent insulation against the elements. What many people may not realize is that every roof job is slightly different. There are many things to consider especially when it comes to sealing vulnerable areas such as chimneys and decorative gables. Without the right skills, the right materials and know-how, any roof repair or replacement is vulnerable and incomplete. You can trust that professional roofing companies are aware of this fact and know exactly what needs to be done to protect your roof from the elements that prevail in your specific climate. 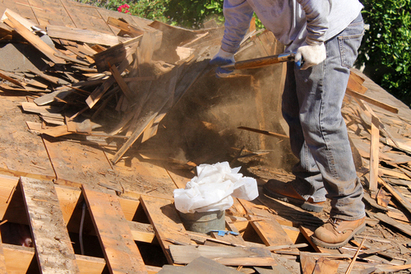 Replacing a roof is not an easy task. Any Do-It-Yourselfer will tell you that it takes time, planning and a great deal of trial and error to get it right. This is time and money wasted. But by hiring a professional roofing company, you could save all that time and a lot of money on a job that they do so well. The best roofing companies work at an incredible pace. As soon as they get all the materials needed, a lay of the land and the go ahead from you, it wouldn't be a surprise to see your roof replaced within a day. This gives you an opportunity to have an entire roofing overhaul without having to move your family into a hotel for a week thus incurring more costs. With a qualified company, the job will be done quickly, affordably and effectively. The thing about important sections of the house such as the roof is that you want them protected by some form of warranty. Your roof is supposed to last through at least a couple decades. Many professional roofing companies are not only insured, but they offer excellent warranty terms once they make repairs or replace your roof. This means that you can rest easy knowing that the materials used and the roof replacement made is protected for several years (many do 20 year warranties). This is not a guarantee you would be able to make if you undertake this kind of project on your own. The kind of insurance and warranty offered by the best roofing companies is a perk that most home owners consider a benefit when they hire these companies. - Exposure to weather elements. Among many other hazards. It doesn't matter whether your roof is only one story up or more than three. A fall from these heights can leave you with serious injuries and massive medical bills or worse. Sometimes, it is not even about your own safety because you can use a harness. What if you dropped something from the roof? How would you make sure that anybody unfortunate enough to be passing below will not sustain injuries from your roof repairs and replacement? These are all things that you can avoid dealing with when you hire a qualified, professional and insured roofing company. Not only are they well trained for these kinds of undertaking, but they have safe-guards in place to protect themselves as well as anyone else in the vicinity. Roof replacement jobs should not be taken lightly. They have the potential to be quite expensive, cumbersome and even dangerous when not handled properly. By hiring a qualified, professional and insured roofing company, you can save yourself a whole lot of headache all the while insuring that you get high-quality workmanship on your roof. Give us a call today and let us help you properly replace that roof.